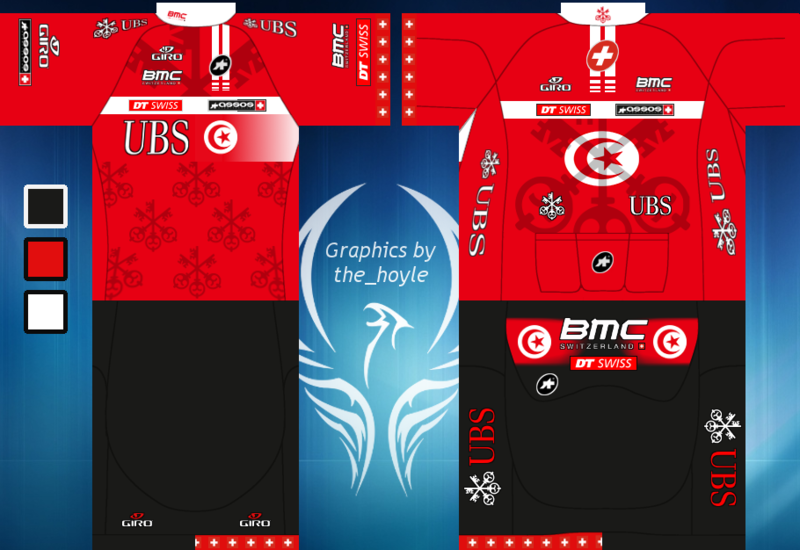 Team UBS is a ProTour team dedicated to the development of Swiss professional cycling. Headquartered in Bern, Switzerland, 2018 will be the team's 9th year in existence, and 7th year as a Swiss national team. 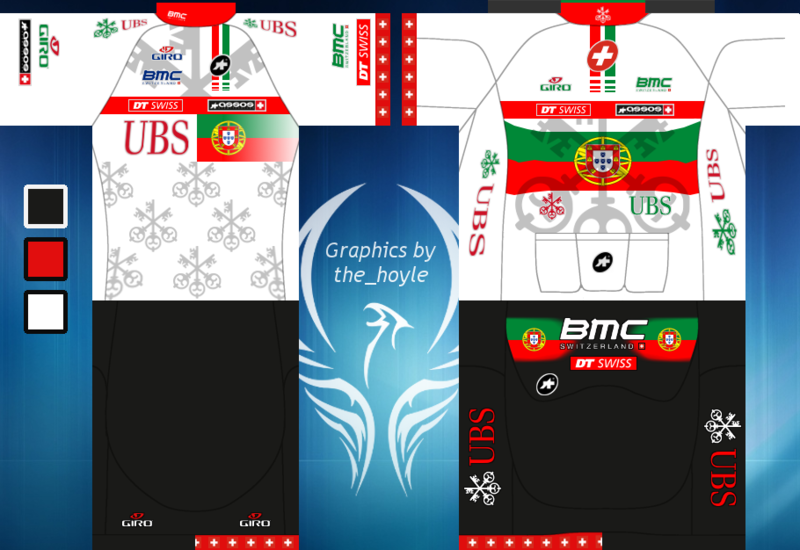 UBS UBS will continue their long term investment with the team by remaining as the sole title sponsor this year. 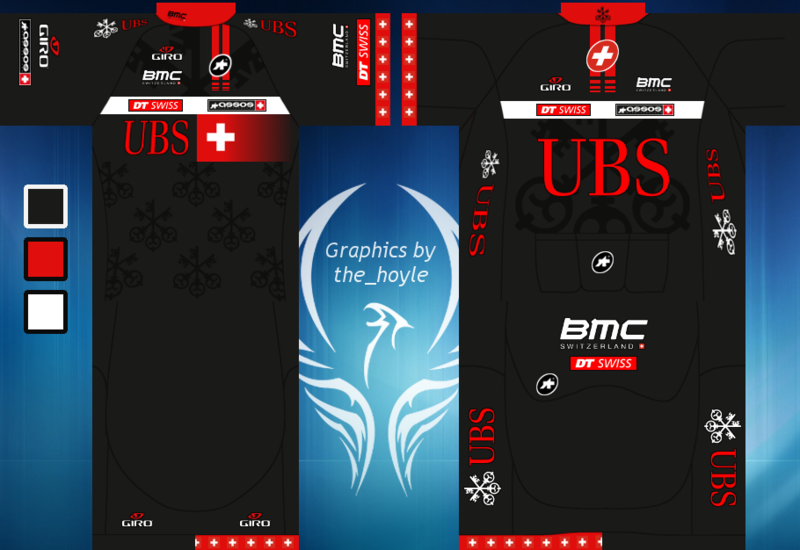 UBS is a global financial institution based in Zurich, and this will be the 7th year that they have partnered with our team. BMC BMC will continue to supply the team with bikes this year as they have in the past. BMC makes some of the best machines in the world and we have truly enjoyed our continuous partnership. This year, the team will continue to ride the ultra-sleek teammachine SLR01 for road races and the timemachine TM01 in races against the clock. ASSOS of Switzlerand The riders will be wearing ASSOS kits for the 6th year in a row now, with an unchanged design by master designer the_hoyle. The only change for 2018 is the addition of the Bolivian TT NC jersey. DT Swiss High-end Swiss wheel manufacturer DT Swiss will continue their wheel sponsorship with the team for a 5th year. The team will be riding on the DT Swiss DICUT line of products. Giro Giro is another returning sponsor who began their partnership with the team in 2014. They will be providing shoes and helmets for the team once again. The shoes will be the Prolight model and helmets will be the Aeon and Selector. Background: Andrei is entering his 3rd year with the team. He has consistently improved in his time here to become a formidable GC candidate in any given race with his combined strength in the mountains as well as time trials. He is the current Costa Rican time trial champion. Background: Vincenzo was signed last year after taking a one year hiatus from the sport. He made a strong comeback and has been a consistent top GC contender in any stage race. He is the current Italian time trial champion. Background: Stefan has been a fixture on the team since our days as Wii Racing in 2010. He is always a factor in the hilly classics as well as shorter one week stage races, and he is the current German road race champion. Background: Mathias is currently the strongest stage racer in Swiss cycling, and one of the national stars on the team. He was a key helper for Nibali and Amador in many races last year, as well as an effective leader in his own right. Background: Jonathan Fumeaux is making his professional debut this year with the team. He has had a promising amateur career and he is expected to hit the ground running as a key supporter for Stefan Schumacher. Background: Christophe is another rider that has been with the team since the Wii Racing days. He is a very reliable rider who has guided many top GC riders through the mountains of Grand Tours. Background: Johann is one of our Swiss national favorites, known for his tendency to score big from breakaways on long, mountainous stages. He is the current Swiss road race champion. Background: Jose Goncalves was signed from free agency after spending last year on the now defunct Pearl Adidas. 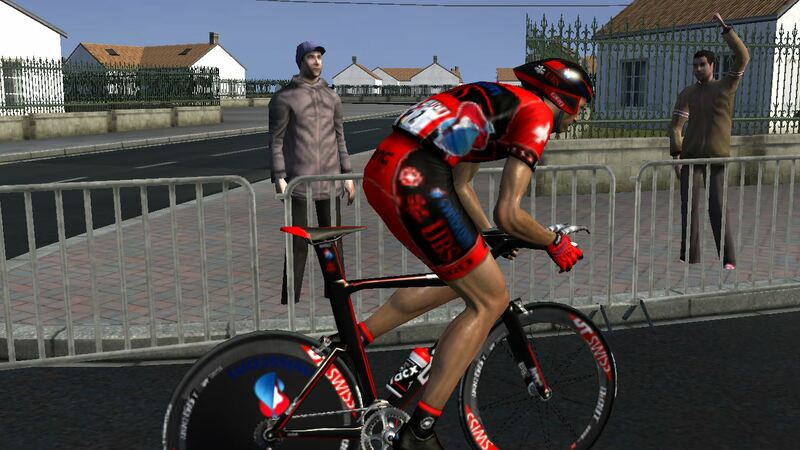 He is no stranger to Pro Tour racing, and he is expected to feature heavily in our main team time trial squad. Background: Rafaâ has ridden with the team for the past two seasons as a key domestique on the flats as well as a cornerstone of our team time trial squad. Background: Dimitri Champion is another diesel on the flat roads that is going into his 3rd season with the team. He is an important member of our team time trial squad. 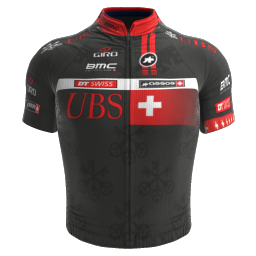 Background: Danilo began his career with Swisscom - UBS last year and has since lead the team's fledgling cobblestones department in the Northern Classics. 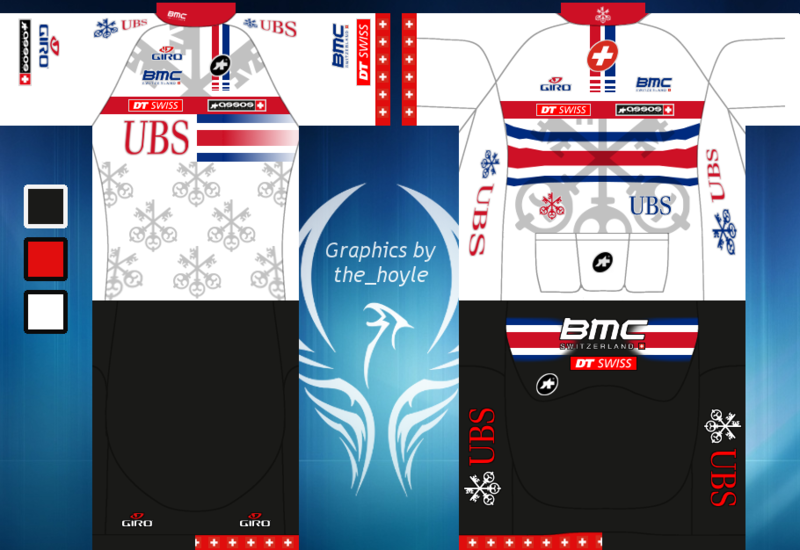 Background: Thomas is another rider entering his third year with Swisscom - UBS. He is a respected support rider for our leaders in stage races, as his main strength is climbing. Background: Florian is a very useful rider with strengths in a variety of areas. He will be present as a domestique in stage races as well as hilly one day classics. Background: Ivan Santaromita was brought into the team last year to support Andrei and Vincenzo in the mountains. He has been very effective in this regard and will be present whenever the race hits the climbs this year. Background: Michael Albasini is one of the riders who has been a permanent fixture on the team since its inception, and is a favorite among the Swiss fans. Michael is a key support man for Stefan Schumacher in the hilly classics and has shown his own strength time and time again when given the opportunity. Background: Simon will be going into his 4th year with the team as a helper in the mountains. Background: Patrick Schelling is considered to be the future of Swiss stage racing, and he will be the focus of much of our resources in the coming years. He is returning from a successful season in the Pro-Continental division where he clearly displayed his pedigree. He will be making his Pro Tour debut this year, and ideally will have very little trouble adapting. Background: Sebastien debuted as a neo pro in the Pro-Tour with us last year and already proved to be a valuable domestique. He is a talented puncheur, and under the guidance of veterans Albasini and Schumacher, we expect him to take a leadership role in the team's hilly department in the coming years. Background: Silvan has been with Swisscom - UBS for two years, the first of which he was loaned to the continental tour to gain experience. He was a factor in our team time trial squad already last year, and with his continual improvement he is expected to be the next Fabian Cancellara in terms of time trialing ability. Background: Dominik Fuchs is joining the team as a first year neo pro. He has shown a strong ability in the mountains at the amateur level, and he is expected to progress further this year by gaining experience as a helper for Andrei and Vincenzo. Background: Mirco Saggiorato was signed by Swisscom - UBS from free agency this year, but will spend the year in the Continental Tour as a leader for Sauber Petronas Racing as part of a loan deal. 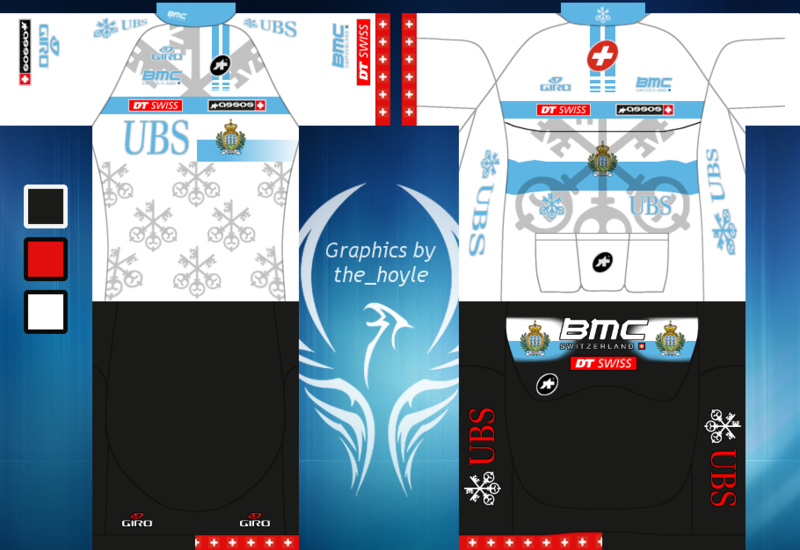 He will ride for Swisscom - UBS beginning in 2015. Background: Stefan is part of a pair being loaned in from Sauber Petronas Racing to gain experience in the Pro Tour this year. He is a talented Swiss climber with much room for improvement. Background: Gregory Hugentobler is part of the duo being loaned in from Sauber Petronas Racing. He has a future as a puncheur and will gain valuable experience racing at the Pro Tour level this year with Swisscom - UBS. 1. You may well have my favorite jersey in the ManGame. Oleg did an amazing work, the NCs are exceptional, too! Thank you! Yeah I couldn't be happier with Oleg's work. I'm glad I was able to continue the progress with the team's Swiss focus without sacrificing strength. I'm now up to 15/22 Swiss riders, up from 11/21 last year. It will really be exciting in the next few seasons when Schelling/Reichenbach/Dillier are maxed and trained up and I'm not reliant on foreign leadership. 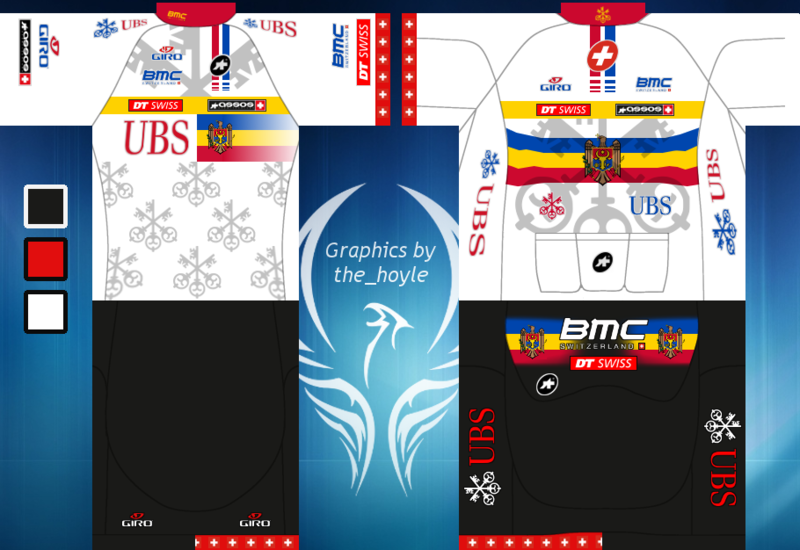 You are right, great kits, Oleg created some of the best pices this year! We took our first win of the season today in impressive fashion in the opening TTT at Paris - Nice. With a strong comeback from a significant early deficit, the boys put our leader Vincenzo Nibali into an important lead going into the week of racing. Italian National Time Trial Champion Vincenzo Nibali marshals the TTT squad to the team's first win of the 2014 season. Team performed like a well oiled Swiss clockwork. Congratulations! Fingers crossed for Nibali keeping his great position over the last few stages. With the Giro d'Italia beginning in the new few days, it's time for an update for our season so far. While we aren't sitting where I'd like us to be in the team standings, the guys have without a doubt achieved some results to be very proud of so far. Vincenzo Nibali ended up finishing Paris-Nice in 5th overall against very tough competition. This was an important indication of his form, as he will be leading the team at the Giro. Stefan Schumacher had a respectable early season campaign, claiming 5th in the Volta Ciclista a Catalunya before going on to take 10th in the Vuelta al Pais Vasco and 7th in the Fleche Wallone. While I would have liked to see better results in the Ardennes classics, the competition is increasingly staunch this year and I have to be content with what we have achieved. The result that I am most excited for, however, is Andrei Amador's recent 3rd place overall in our home race, the Tour of Romandie. While we had targeted this race to win, the other contenders (namely Spilak and Martin) were too strong for Andrei to compete with. I'm not too concerned, however, as this was Andrei's first race of the season and I'm pleased with how strong he is already. A good indication for the Tour de France! 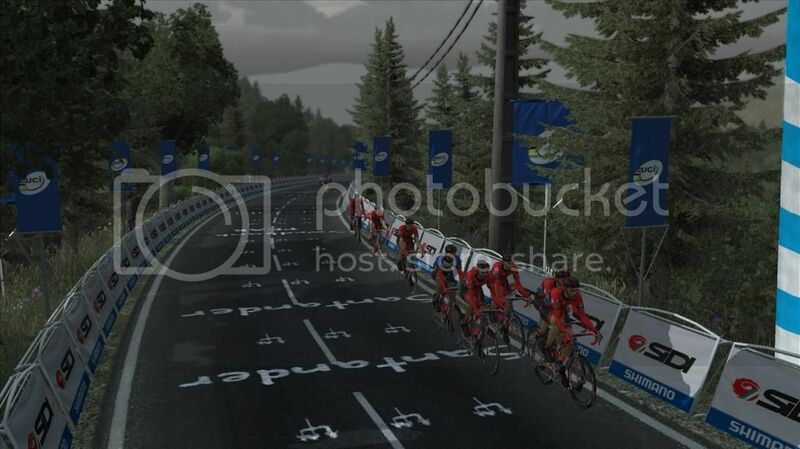 The team on the ascent of the mountain in the Stage 4 Team Time Trial in the Tour of Romandie. Thank you for reading, we'll see you in Italy! It's been a while since I've posted here, and I apologize to everyone for that. With the final race of the season finished, I'll give a little synopsis of our year. Needless to say, this was not a good year for us. We dropped from 6th in 2013 to 16th overall in the team standings (much too close to relegation), we went from 3 GC victories to zero, 2 points/KoM jerseys to zero, 7 stage wins to 3, and we accomplished 0/5 goals that were established at the beginning of the season. As a manager, this is very disappointing as it is quite a drastic decline from our very promising 2013 season. Despite all of this, there is one major positive point that I take away from this year, which I believe is a key sign of things to come: Our young talents Patrick Schelling and Sebastien Reichenbach have started getting results, with 3 podium finishes between the two of them. These youngsters are the future of the team, and I'm sure they will be able to build on their experiences from this year and translate it to winning races next year and in the future. Overall, I'm both excited and hopeful for 2015. There will likely be some important changes to our roster, especially at the top end. But the year is not over yet, and we still have Worlds and Nationals to focus on. 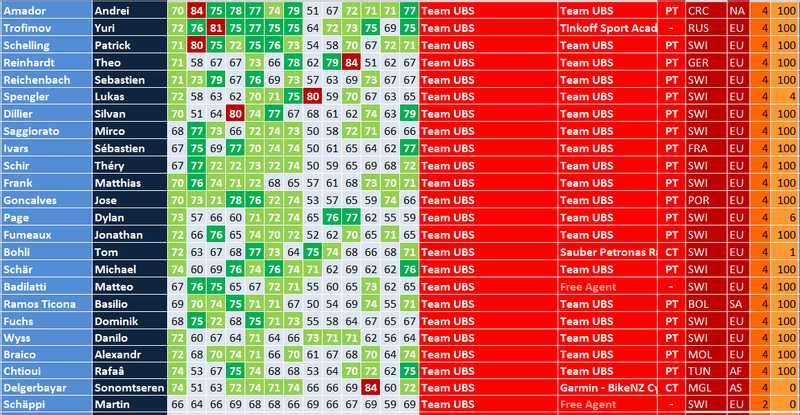 Hard season for Swisscom-UBS, but at least no relegation fears and you can build on that for 2015. I am anxious to see what changes you can make on top end of your roster as you suggest, i suppose certain ageing puncheur is on the way to PCT maybe? We can be interested in hilly leader...good luck for 2015 anyway! Thanks Avin, yes I think I'm going to try to make some moves with Nibali and Schumacher to switch things up. Matthias Frank attacks on the final climb to win the mountainous Swiss national road race championship. Jose Goncalves won his national time trial championship today. Goncalves has had a very respectable first year at Swisscom, with his best individual result being a podium place in Stage 15 of the Tour de France. He is also one of the key members of our team time trial lineup, and he lead the team to win the TTT in Paris - Nice. Jose Goncalves on his way to claiming the Portuguese national time trial champion's jersey. Congrats on both wins! Was nice to see the SUI road race going with a proper AI thanks to your team playing the favorites card instead of joining the early break. Thanks! And thanks for the great reports! I guess splitting the team into two legitimate squads rather than one stacked team really paid off, as both contributed to bringing the race together. 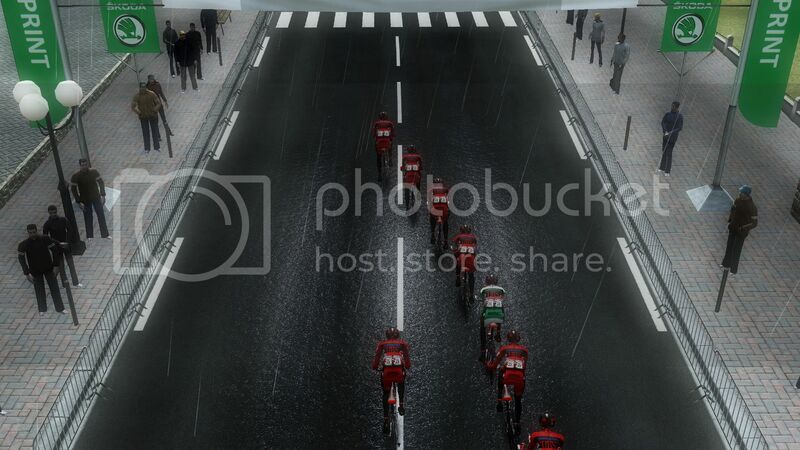 Tour of Romandie, Tour de Suisse, and the Vuelta a Colombia. Andrei Amador claims the Costa Rican national time trial champion's jersey for the second consecutive year. The final nationals race for us will be in Tunisia, where Rafaâ Chtioui will be hunting for jerseys. After losing the race by a mere 2 seconds last year, Rafaâ Chtioui has ended our season with an impressive victory in the Tunisian national time trial championships. While he does not have any significant results to speak of aside from this, he has been an incredibly valuable domestique and an important member of our TTT lineup since 2012. Next up is the renewals process. While it is still early, I can say that there will be no changes at this point in the higher end of the team. All of the strongest riders will be retained until the transfers begin, and then some very important names will be available for trade. Stay tuned until then!